Ah, Berry Creek Falls. I really love that place, and have spent more time than could possibly be healthy sitting on the observation deck for the falls... about 5 miles from the nearest parking. This painting is full of symbolism for me, as it was created for my girlfriend at the time. The water was to be a sign of my never-ending love... but lives change, and we broke up. Now, the water is almost a symbol of the pain of the breakup. 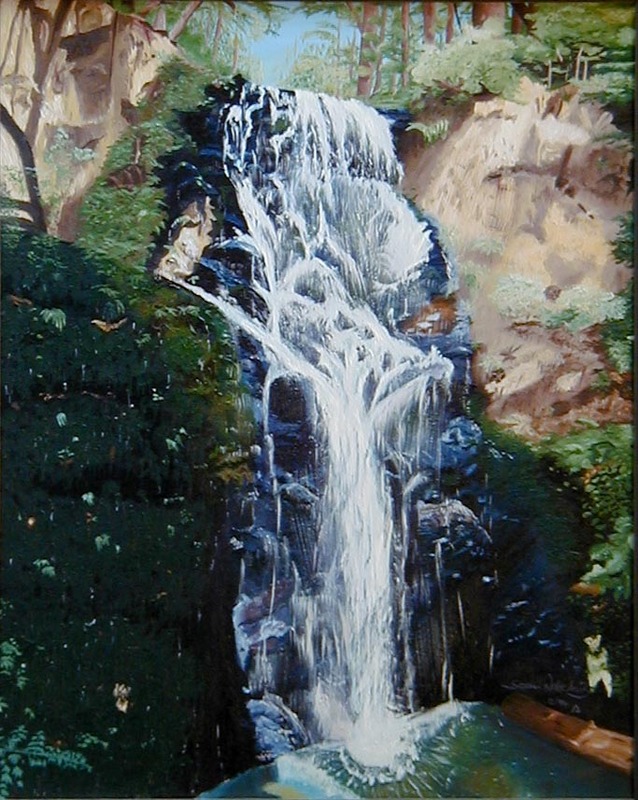 This painting was made from one of my numerous photos of the waterfall.